BKF Fellow José González with founding partners of the Avarna Group, Aparna Rajagopal-Durbin and Ava Holiday. 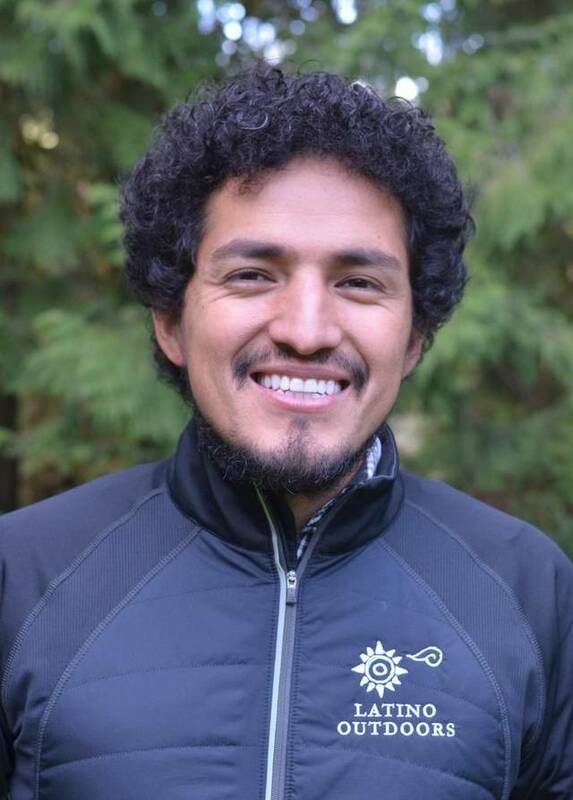 BKF Fellow José González continues to bring his leadership to outdoor education, recently announcing that he is taking on some new executive roles in his work to bring diversity, equity, and inclusion to all aspects of the environmental field. Thank you, José, for your leadership! Since transitioning from the Executive Director role at Latino Outdoors, the nonprofit he founded in 2013, José has joined forces with founding partners of the Avarna Group, Aparna Rajagopal-Durbin and Ava Holiday. Through workshops and presentations that examine how unconscious bias impedes diversity, equity, and inclusion efforts, the Avarna Group empowers outdoor organizations to challenge bias to make change. Learn more at https://theavarnagroup.com. José is also now a Senior Advisor at Brown Environmentalist (BE) Media Collective, a collaborative long-form and multimedia collective working to amplify the experiences, contributions and leadership of Black, Indigenous, and People of Color in the environment. José sees this as part of his commitment to support peer to peer leadership and is excited to be a part of growing the collective. 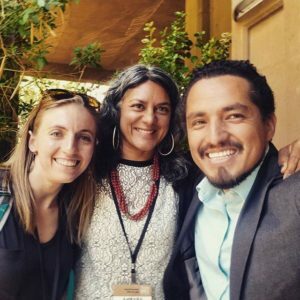 Check out BE Media Collective at https://brownenvironmentalist.org. 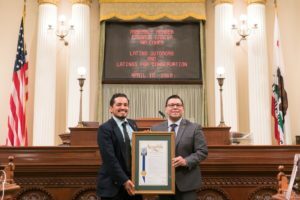 BKF Fellow José González and Assemblymember Eduardo Garcia at the signing of Assembly Concurrent Resolution No. 137. Recognizes the role of Latinos in protecting and preserving the land, water, and wildlife of the United States. Supports and encourages the inclusion and meaningful engagement of Latinos and all Californians in environmental protection and conservation efforts. Encourages Latinos in this country to participate in ceremonies, activities, and programs that engage the community in the outdoors and bring awareness to the importance of conservation. They saw themselves reflected as participants and leaders in the space—that they mattered to the future success of this work. And here they were, camping out, Latinas outdoors, growing into the community we had often sought when we started Latino Outdoors in 2013. That is why California ACR-137 is important to me. It is a reminder and recognition of what we have, can and will contribute to the outdoors. It is like having your story, your heritage, included in the history book. Keep up with all that José is doing at http://www.josegagonzalez.com.